CfAT investigated and designed small solar powered light units for community clinics to provide lighting for after-hours emergencies. This led to a collaboration with the Murdoch University Energy Research Unit and later Advanced Energy Systems in the development and monitoring of the “Solar Pack” power generation units that were prevalent in WA in the late 1980’s. As a result of these associations CfAT became a core partner in the development of the Australian Centre for Renewable Energy (ACRE CRC) and undertook a market survey of the performance of renewable energy (RE) systems across remote Australia. did not have a regular service and maintenance regime in place. Following a number of community and industry forums CfAT developed a policy paper based on the ACRE CRC report which was presented to the federal government. The paper convinced the then Australian Greenhouse Office and the Aboriginal and Torres Strait Islander Commission (ATSIC) that investment in remote RE systems was not sustainable unless considerable resources were also invested in community support and regional technical capacity building. engaging and training technical service providers further develop their capacity to install, service and maintain RE systems. Our work in these areas is underpinned by our Community Energy Planning Model. This model lays out a staged process of engagement, planning, design, installation and ongoing support and monitoring. Using the model, we have designed and installed RE systems in more than 130 communities. This work has led to a significant increase in the reliability of energy services, reduction in community expenditure on diesel, a significant enhancement in residents’ and regional service providers’ abilities to carry out basic maintenance on their systems, and reduced greenhouse emissions. multiple RE industry training and work placement opportunities created. Bushlight delivers energy services in small remote communities using nationally and internationally recognised best practice in renewable energy system design and community consultation. Bushlight’s commitment to the principles of uniform system design, appropriate quality standards and national procurement strategies (including volume purchasing) bring an efficiency to this work which would be unattainable in anything other than a national format. The development of RE system service runs incorporating multiple communities into single runs in order to minimise mobilisation costs is an example of the efficiencies gained through this national approach. Bushlight’s high national profile (winner of the 2006 National Engineering Excellence Award) enables CfAT to attract staff of the highest calibre to the Northern Territory which ultimately furthers the reach and impact of CfAT’s work. 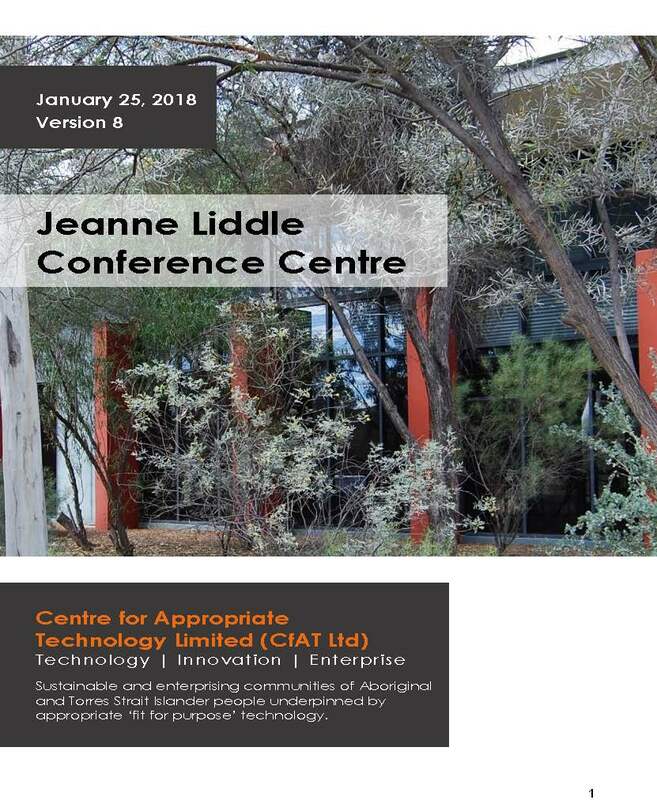 The body of expertise accumulated by Bushlight and the technical specialists the organisation has attracted, enabled CfAT to play a leading role in the Alice Springs’ successful Solar Cities program. 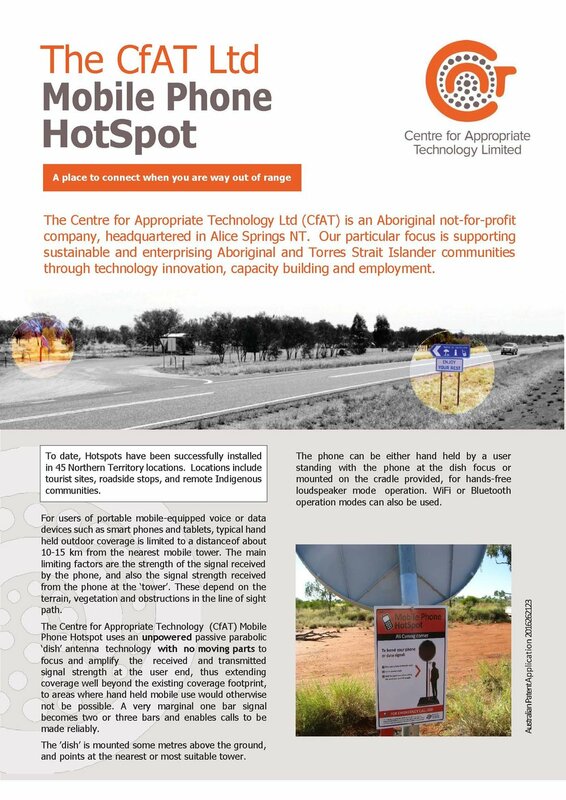 Bushlight staff prepared a feasibility study that led to the successful solar demonstration project at the Desert Knowledge Precinct in Alice Springs. Ekistica, a fully owned subsidiary company of CfAT Inc, has taken learnings from the Australian Bushlight program into a collaborative development and demonstration project for remote village electrification using renewable energy in India. This project provides distributed generation RE supplies to six remote Indian villages. Collaboration between Australian and Indian partners includes the testing, development and documentation of best practice models of energy system planning, system design documentation and installation, and sustainable management of energy services. The project has developed an optimised model for the electrification of remote villages in India using renewable energy. In 2011 the Bushlight India project was awarded the highest engineering accolade in Australia – the Sir William Hudson Award.